Industry report released today forecasts 10% to 14% growth for the premium wine segment in 2017 with slight price increases and continuing mergers and acquisitions. The report authored by Rob McMillan, founder of Silicon Valley Bank’s Wine Division, combines expertise in the U.S. wine business with proprietary research including a winery survey. Silicon Valley Bank is the largest banker to boutique wine companies with about 350 premium wineries, but the survey conducted in October included non-client wineries as well. The number of complete responses to the survey was 506, with a completion rate of 93%. “We foresee a strong year ahead for the wine industry, particularly in the premium wine segment, with small price increases in the $12-$25 bottle and luxury wine categories,” McMillan said. McMillan foresees sales growth between 10% and 14% for the premium wine segment due to better retail conditions, strong consumer demand and good supply. However, the bank expects volume and price to drop for bottles priced less than $9, though sales of wine in 3-liter boxes has allowed growth in that segment. The report expects that overall supply will be balanced with shortages of high-quality Pinot Noir and Cabernet Sauvignon, but with surpluses in certain non-core varieties and for grapes destined for lower priced wine. Contributing to shortages will be the narrowing supply of land suitable for higher end wine production combined with good buyer interest that will drive vineyard prices higher in premium regions. Oregon and Washington vineyards will continue to see high interest from larger wine companies. The report also predicts slightly higher per-capita consumption if economic conditions continue to improve despite retiring, wine-loyal baby boomers being replaced by less-affluent millennials who are more varied in their drinking habits. Some other findings in the report: It expects imported wines to grow in lower premium price points due to a strong and strengthening U.S. dollar, available foreign supply, foreign in-country marketing support and willing millennials. Millennials are beginning to affect the lower price range of premium sales. Their presence is most visible in the $8 to $11.99 red blend category, but they will gradually move away from blends and into varietal wines or imports as their incomes improve. 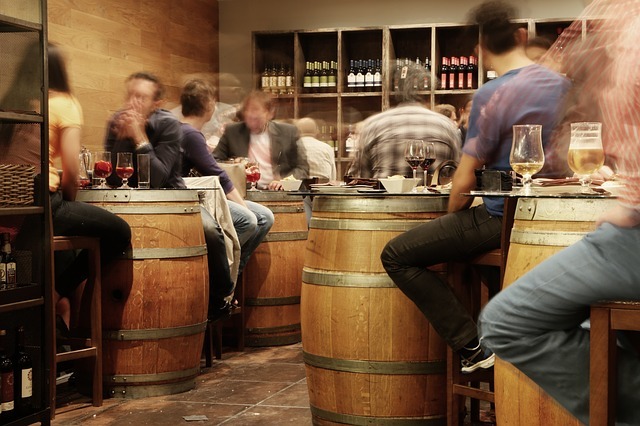 Restaurant sales are dropping significantly for Silicon Valley Bank’s wine clients. This is largely due to larger wine companies increasingly dominating those sales, and they aren’t the banks’ customers. Fortunately, sales directly to consumers have expanded partly due to opening of additional states to direct shipment. The full report will be available here. McMillan is scheduled to discuss the annual report and the state of the wine industry in a live videocast with Amy Hoopes, chief marketing officer and executive vice president of global sales at Wente Family Estates, Dan Leese, president of V2 Wine Group, and Paul Mabray, vice president of social media and reputation management at Avero. A replay of the discussion will be available at svb.com.